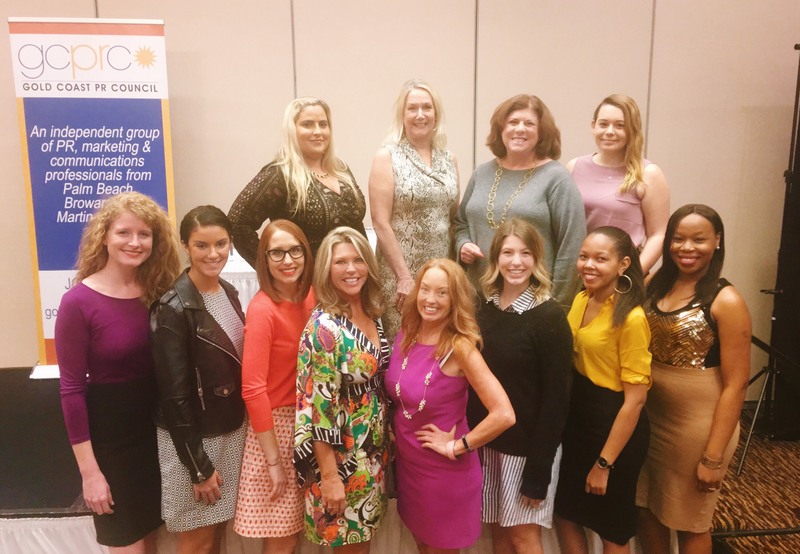 More than 75 marketing communications professionals gathered at the Embassy Suites in West Palm Beach on Friday, January 27 to celebrate the Gold Coast Public Relations Council’s 13th Annual Bernays Awards. The annual awards program of the GCPRC is named in honor of Edward J. Bernays, the father of public relations. The awards recognize outstanding performances and campaigns by members of the Gold Coast Public Relations Council, South Florida’s largest independent organization of PR and marketing professionals. The Bernays Awards honor excellence by the local PR & Marketing community in ten competitive categories. Amongst the crowd of elite honorees and distinguished guests, The Buzz Agency co-founders, Julie Mullen and Elizabeth Kelley Grace, were in attendance to accept the 2017 President’s Award. “Thank each of you for your contribution to our industry, and thank you for being an inspiration to Liz and me every single day,” Mullen told the crowd. The Buzz Agency has received a total of nine Bernays Awards over the past seven years, including the 2011 PR Star Award and the 2015 Founders Award, presented to Julie Mullen. Founded in 2009 by Mullen and Grace, The Buzz Agency continues to be one of the fastest growing public relations agencies in South Florida. With a dedication to delivering innovative public relations and powerful marketing campaigns, The Buzz Agency’s top-notch team were thrilled to receive such an incredible award. The Buzz Agency has received a total of nine Bernays Awards, including the 2011 PR Star Award and the 2015 Founders Award presented to Julie Mullen. Congratulations to Julie and Liz on being awarded the 2017 President’s Award!